We are thrilled to announce Walter Nitsche III's promotion to 1st Dan. He is the second of Gateway Shidokan Karate’s students to earn a black belt. Congratulations on a job well done! 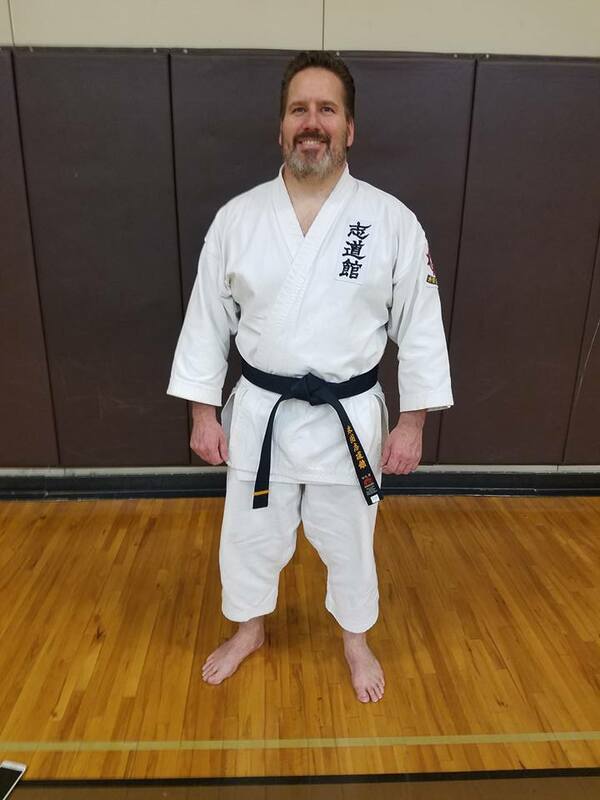 We are thrilled to announce Carl Armbruster’s promotion to 1st Dan. 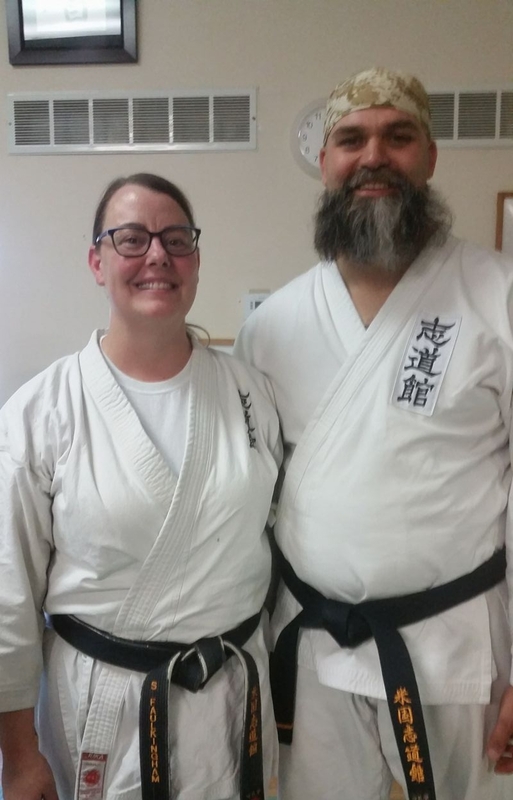 He is the first of Gateway Shidokan Karate’s students to earn a black belt. Congratulations on a job well done! Some photos of the participants and guest at the 2016 National Training Seminar in Lansing, Michigan. Those who trained at the 2016 NTS. A fun group photo with the selfie stick. Thank you Nick for such a fun picture! A photo of the photo! Thank you Christian for capturing such great memories for us. In April we had a group photo taken for Iha Sensei's 40th anniversary celebration book. What a great group we have! Hopefully next time everyone will be available for the photo. November 13-14, 2015 - Annual St. Louis training seminar with Iha Sensei. Part of the Gateway Shido-kan Karate crew; along with honored guest Iha Sensei, Basinger Sensei, Uza Sensei and Lynn Tanner. Everyone did an amazing job over the weekend, as always. I am so very proud of you all! One of our karate families, the Miller family, is suffering a terrible loss; our heart breaks for them. Jeff Miller, Beth’s husband and Summer and Trevor’s dad, passed away on Saturday. Our thoughts are with them during this tragic time. I know many of us have such wonderful memories of Jeff. I have always admired what a wonderful husband and father he was; you always knew that his family was the center of his world. A GoFundMe account has been established for Beth, Summer and Trevor. 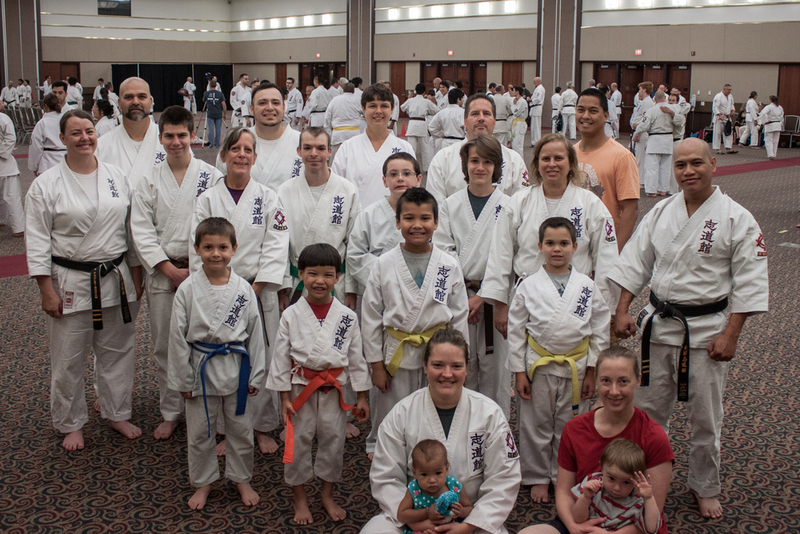 Gateway Shidokan Karate made an official presence at NTS as a probationary Fuku Shibo dojo. We had a wonderful time reconnecting with fellow karate-ka and studying under world renowned Seikichi Iha, Hanshi, 10th Dan. 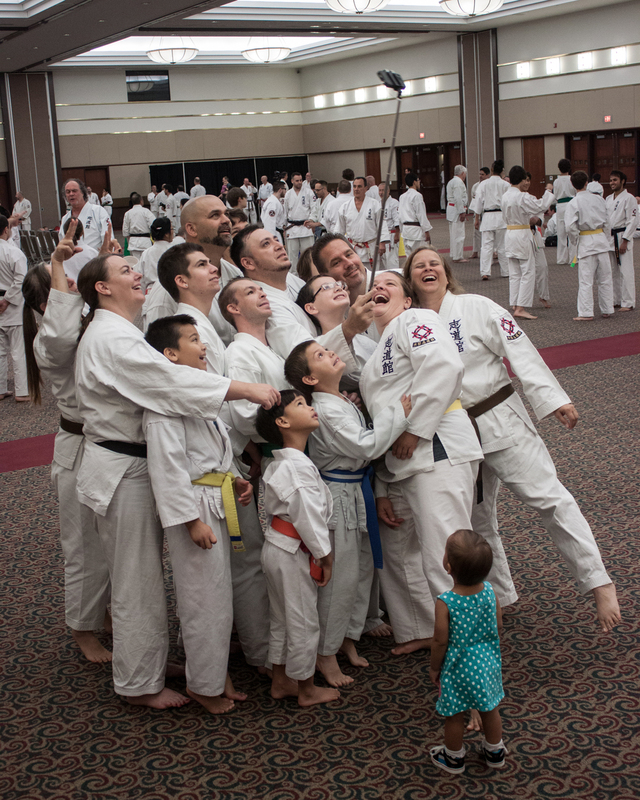 Those students who attended were Carl Armbruster (1st Kyu), Seth Armbruster (5th Kyu), Andrew Armbruster (6th Kyu), and Julian Hanquet (12th Kyu). 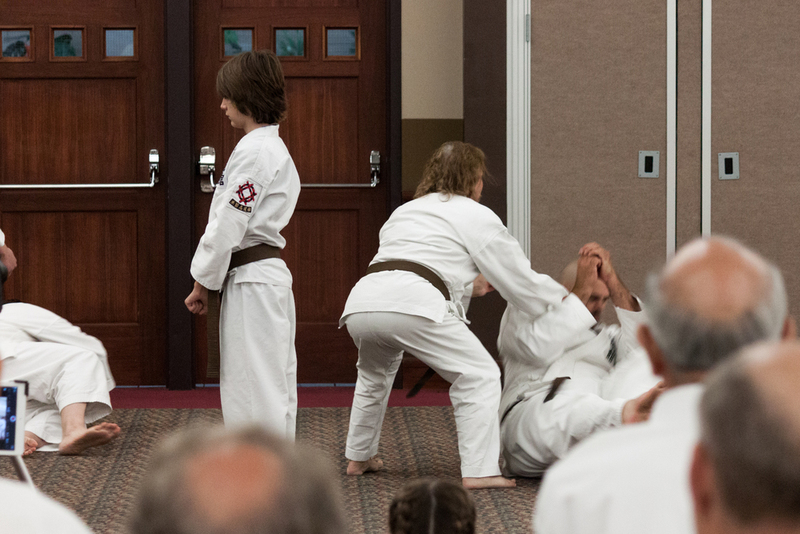 Seth performed in the youth kata tournament and was awarded a medal of participation. Great job Seth! As always, Faulkingham Sensei was very proud of her students and their representation of Gateway Shido-kan Karate. We are thrilled to congratulate fellow karate-ka and good friend Tony Bui on his promotion to 3rd Dan! Karate STL's second location at Maryland Heights Community Center is under new ownership; as of January 1, 2014 this dojo will be Gateway Shidokan Karate. We at Gateway Shidokan Karate are forever grateful for this honor and look forward to our growth with the guidance of Basinger Sensei. We will continue to have picnics, holiday parties, Iha Sensei seminars, make up classes and many other fun activities with Karate STL. Students may ask to join our private "Gateway Shidokan Karate Group" on Facebook.